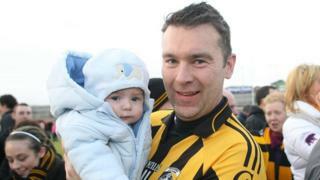 Armagh GAA star Oisin McConville, rated as an all-time great, announces his retirement after a glittering playing career. McConville, an All-Ireland winner at county and club level, played his last match in Crossmaglen's club semi-final defeat by St Brigid's of Roscommon on 16 February. The 37-year-old won six All-Ireland club medals with Crossmaglen and scored Armagh's goal in their 2002 Sam Maguire success over Kerry.